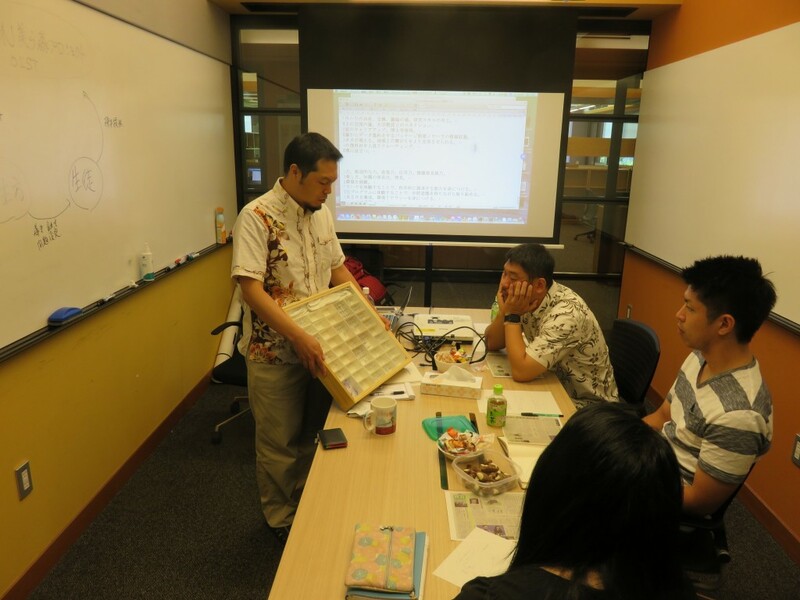 “OKEON Churamori Project – Okinawa Environmental Observation Network” was introduced on the local news of OTV as a series of their documentary “Rivers and Environment” this Thursday. Provide enviromental education to local children. Please contact the Media Section (media@oist.jp) to watch the video. It’s become more frequent for me to go deep into forests in Okinawa since I joined the natural environmental research called OKEON Project. Throughout Japan, there are approximately 300 ant species, of which one-third of them inhabit on the main island of Okinawa. One can imagine how bustling its forests are and how easy to encounter a variety of unnamed species without an effort once you are there. Unfortunately, that seems to be different in reality. Subtropical forests look rather barren with the floor devoid of fallen leaves. This doesn’t mean we don’t come across creatures at all. It would be perhaps more correct to say that they are not “in our sight” despite of their frequent presence. It requires a little bit of training and experience to spot something you want to find in the forests. Looking for living creatures blended well with forests, you need to use your ears that can distinguish quiet sounds, nose that detects smells, as well as eyes that can identify the traces left by targeted creatures. With a little bit more experience, the forests become a completely different place than before. Here is an interesting fact. Depending on what you wish to find, the weight of your senses shift from one to another. If you acquire the technique to recognize birds, wild animals, lizards, frogs, fish, ants, flowers, fern, mushrooms and others, the forests will become richer in color. It’s not just about animals. With a wider view, the forests become much more exciting and appealing than artificial theme parks. In the forests, there is always a surprise when you encounter those creatures by chance, and you’re thrilled. The technique to really see things will make even your ordinary neighborhood a place with abundant creatures. As much as Yanbaru, northern part of the island, shrubs in your village is also part of the rich natural environment. A new paper is out in Journal of Biogeography, led by Patricia Wepfer. 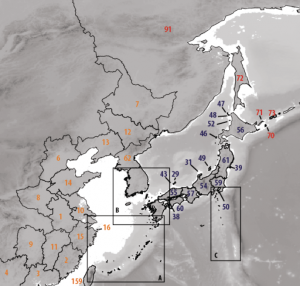 The paper uses our GABI data as a basis to analyze patterns of beta diversity in East Asia. As expected, climate had a major effect on ant beta diversity. 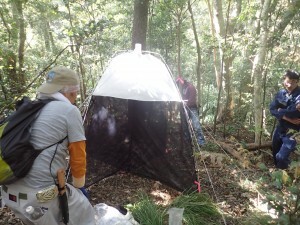 But we also found a surprising effect of historical land connections that explained ant diversity patterns better than modern connectivity.